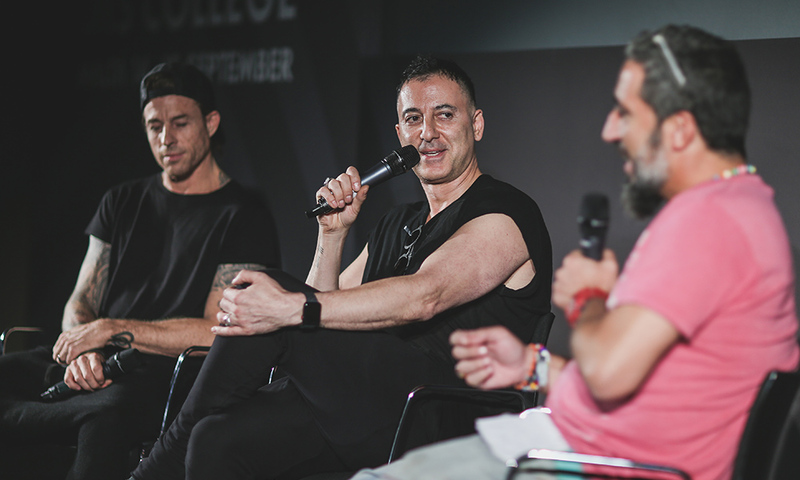 A revealing Q&A with Dubfire, representatives from AFEM, Beatport, elrow & Toolroom Academy, production masterclasses from Berklee School of Music & Point Blank Music School and more. IMS College returned to Malta for a successful third annual summer camp, providing an invaluable experience for the hundreds of delegates who attended from countries across the globe. By day industry thought leaders and artists gave valuable insights on the four key educational pillars of IMS College – Performance, Production, Promotion & Publishing, by night delegates enjoyed special night time events featuring performances from world leading artists. The Summer Camp began with an introduction from the IMS Partners and representatives from the Association For Electronic Music, who greeted a full auditorium of DJs, producers and emerging industry professionals. They collectively reinforced the core aims of IMS College: to inspire and motivate as well as provide a solid educational foundation. The opening Keynote Address was an insightful discussion covering the importance of the four educational pillars, with Nacho Marco (Berklee College of Music, Professor, Spain), Mark Lawrence (AFEM/Black Rock Publishing, Advisor/Director, UK), Paul Arnold (Ultra Music Publishing & Records, A&R, UK) and the Mambo Brothers (Artists, Spain) sharing insights and knowledge. Day one came to close with Ibiza born and raised duo the Mambo Brothers starting the party proceedings with a sunset set at Medasia Playa with fellow Ibicencan Manu Gonzalez finishing off the night with an energetic set at Playground. Opening day two of IMS College was Staying Sane in the Game a frank discussion on mental health in the industry and the all too common challenges artists and professionals can face working in music. Christine Brown (Help Musicians, Director of External Affairs, UK) noted “people who work in music are three times more likely to have some type of mental health issue or challenge” with Tristan Hunt (Association For Electronic Music (AFEM), Regional Manager, UK) observing “20 years ago we were not having this conversation, hedonism was the dominant approach in our industry. For once mental health is top of the agenda.” The assembled panelists, including AEI Group’s Jenni Cochrane (AEI Group, Director Of Culture And Partnerships, UK), provided some practical tips to help protect your mental health: Don’t suffer in silence, reach out for help and make regular time to disconnect. Tools Of The Trade was a practical discussion highlighting the techniques and platforms that help artists and labels grow in the industry. Inder Phull (KRPT, Founder, UK) covered the importance of avoiding paying click-farms and other companies for followers and instead focussing on growing a truly engaged audience. “There is no point having 100k followers but only 10 likes on each post, you need to speak with and engage your fans”. Sebastian Simone (Warner Bros. Records, Head of Digital Strategy, UK) highlighted a platform called VidIQ which allows users to look at YouTube videos and get a full insight into the metadata behind the video and what optimization strategies have been used, giving you a chance to learn what is making the video so successful on the platform. Luke Curtis (Dance Music Photographer, UK) discussed the value of the press kit and how to ensure your brand identity is consistent across all platforms. In HOBBY TO PRO – LAUNCHING YOUR OWN MUSIC BUSINESS, IMS Visionaries 2016 winner Inder Phull (KRPT, Founder, UK) was joined by Luke Curtis (Dance Music Photographer, UK) who shared his inspiring journey and tips on launching a business. Key takeaways included the importance of finding mentors, building a network and maintaining consistency and self-belief as things don’t always go to plan. IMS College closed with a rare intimate Q&A with Grammy award winning artist Dubfire (Artist, USA), who revealed he owes his success to having a strong team behind him, also advising the audience “The main thing is to take yourself seriously. Adhere to your own standards and don’t let other people tell you who they think you are.” The wide-ranging discussion covered his early days as part of production duo Deep Dish and his subsequent rebrand, his approach to playing sets, his view of social media and the future of the hybrid live visual show. Closing IMS College – Malta in style was the debut of global party phenomenon elrow in Malta, an unmissable party that carried on well into the night featuring Dubfire, Camelphat and the imitable elrow performers and party production surprises.